AB figures/Fighting 15s Some of the best 18mm Napoleonics around. Adler Miniatures .. 6mm figures. Antenociti's Workshop material for building scenery and terrain. Black cat bases .. Scenic's of various scales. Black tree design ltd Black tree design 28mm miniatures. Britannia Miniatures 20 and 25mm figures some excellent ranges .Especially their wild west. Conquest miniatures ..28mm figures ,with some excellent native American indians . CP Models 20m WWII high quality design and casting. Cromwell models. some of the best model AFVs you can buy. Curteys miniatures 28mm Eastern medieval figures. Dixon miniatures 15,20 and 25mm figures. East riding miniatures figures rules and games. Essex Miniatures 15 and 25mm you can't go wrong with Essex. Flags for the Lads 15 and 25mm Wargames flags .in my opinion the best on the market today. Forge World .. Games workshop Speciality models. Foundry website Wargames foundry .nothing else needs to be said. Front Rank figurines some of the best 25mm figures ever. Galloping Major	.. 28mm French Indian wars. Gamers Quest .. 28mm Sci-Fi and Fantasy figures. Grand Manner ..Finely detailed model buildings . 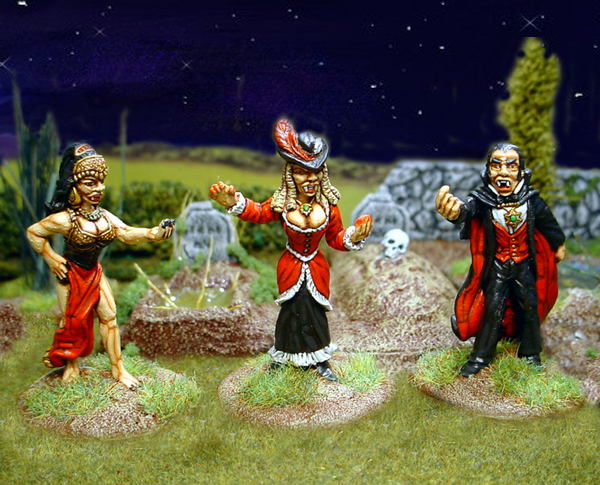 Gripping Beast 25mm figures beautifully crafted .check out there new Carthaginians!! Historex Agents...A uk distributor for many makes of model figures. Lancashire games ..	15, 20 and 25mm figures. Langton Miniatures .. Naval models. Magister Militum .. Many ranges including the old Chariot miniatures. Miniature Headquarters...USA based distributor for the wargamer. Museum Miniatures 15mm figures ,many periods covered and a very friendly service. Navwar productions ltd Manufacturers of fine cast military and naval miniatures. Old Glory uk 15 and 25mm historical figures .many periods to chose from. Parkfield Miniatures .. 15,25 and 28mm figures. Perry miniatures the Perry twins new web site. Peter Pig peter pig 15mm oink! Redoubt Enterprise .. 28mm various ranges. Scale Creep miniatures American wargaming store. Skytrex ltd some very nice naval models. Sloppy Jalopy .. 28mm Vehicals. The showcase company... display cases for all your modelling needs. Two Dragons productions ..15mm samurai plus other periods. Vallejo Paints .. Quality modelling paint. Vendel miniatures ..28mm Historical and fantasy figures . Vis Bellica Rules and army lists for the ancient period. War Bases - MDF cut bases for basing your miniatures. Warflag nice flags for loads of periods. Wargames illustrated site of The World's Foremost Wargames Magazine. Xysten 15mm high quality 15mm ancients.